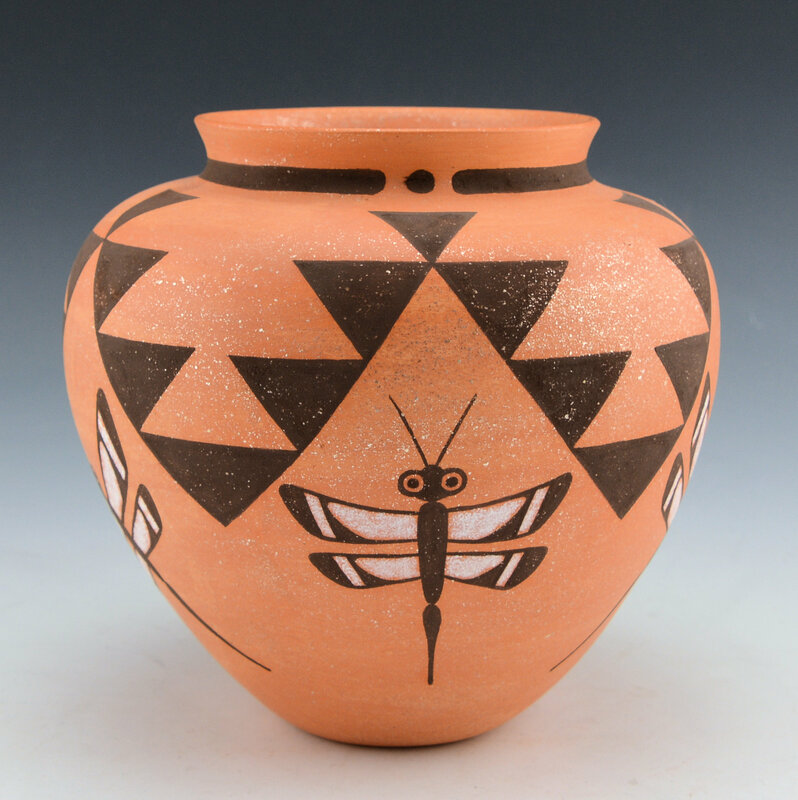 Randy Nahohai was known for his innovative Zuni pottery. This is one of his classic thin-walled vessels. 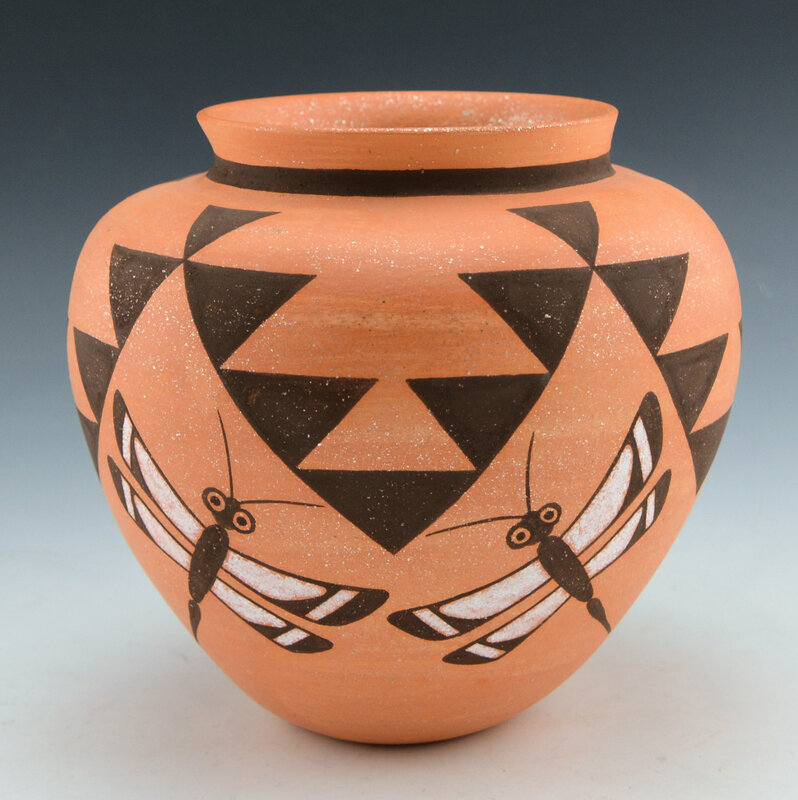 The jar shape is inspired by historic Zuni pottery with a high shoulder and slight neck. The jar is slipped with mica and painted with natural clay paints. The design consists of five dragonflies encircling the piece. 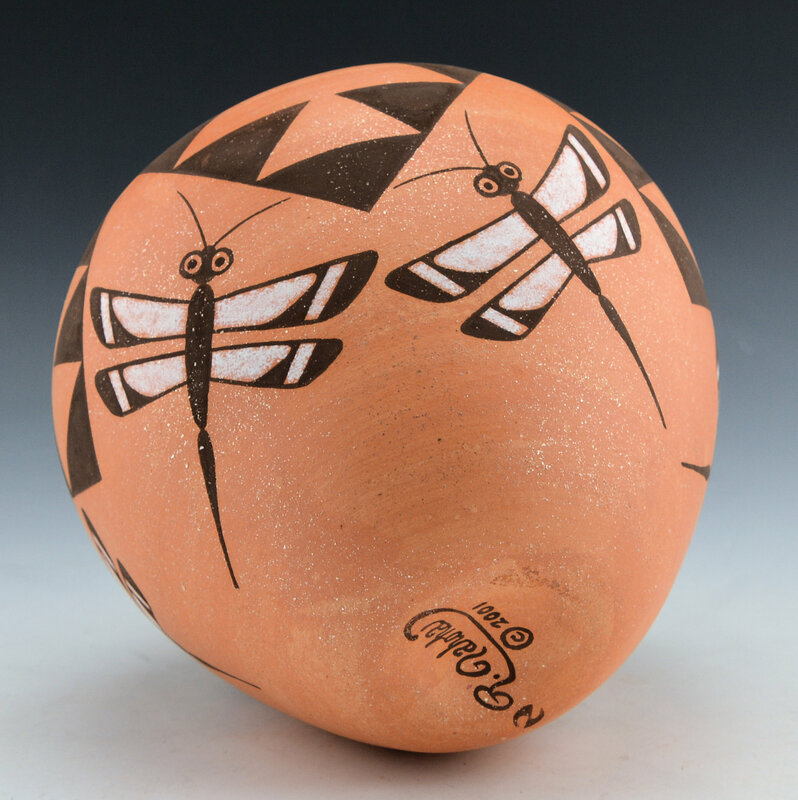 Dragonflies are often represented as carrying prayers to heaven or the stars in Zuni culture. Above the dragonflies are triangular designs which represent clouds. 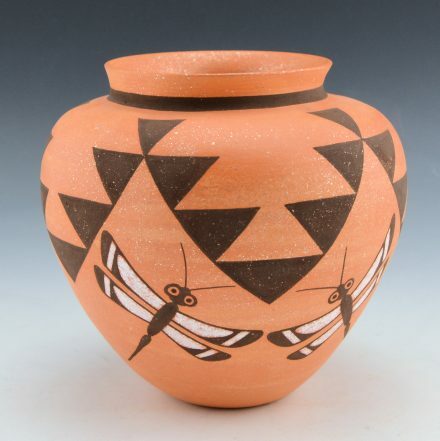 The jar is beautifully painted with various clays for coloration. It is signed on the bottom, “R. Nahohai” and it is in excellent condition with no chips, cracks, restoration or repair.